In this two string system SEGES acts as national center for 28 local advisory centers throughout Denmark organized in the overall partnership Danish Agricultural Advisory Service which employs 3.500 professionals. Approximately 650 are working at SEGES and 3/4 have a university degree within agricultural and biological sciences; economics; business administration; law; ICT and marketing. SEGES is an all- round house subdivided into 2 main departments: Innovation and business. The department of innovation comprises the sections environment, arable crops, husbandry, economy, breeding and genetics, organic farming and future farming. It is highly specialized in implementation and dissemination of knowledge and innovation directly to advisors and farmers, but also companies, universities, government and municipality. Major effort is made through the internet; social media and special information databases having more than 1 million yearly visitors of professional adviser and farmers. The most important tasks of SEGES are to keep advisers at the local advisory centers up to date with the latest research results and knowledge and identify challenges from the agricultural praxis requiring new and more research at the universities. Generates knowledge and innovation and research results by means of a dynamic co-operation with researchers from universities and through national field trials. SEGES performs about 1.000 field trials each year to test new varieties, fertilizers, pesticides and cultivation systems, and is active in husbandry experiments. Transmit requests and inspiration to the universities for innovation and research activities initiated by experienced challenges and from the farmers and their organizations. Conveys knowledge to professionals and farmers through large specialized information portals; by means of direct contact to individual and groups of farmers; demonstrations, seminars and major conferences as well as implementation of knowledge and tools by means of specialized methods for agriculture. Develops ICT solutions for data management and optimization of agricultural holdings. 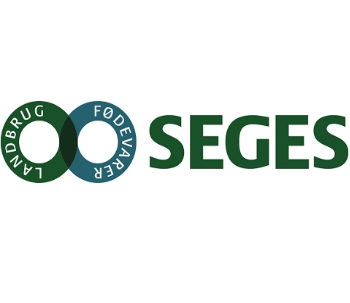 SEGES coordinates an accounting system for farmers and small businesses, used by 34.000 holdings. Provides specialized advisory services and knowledge implementation directly to Danish farmers. Is the main Danish institution involved in coordinated implementation of the Common Agricultural Policy. Dr. ir Frank Oudshoorn is a senior advisor in the organic innovation unit of the knowledge center SEGES. His tasks here are giving advice and service for the advisors in the field, by information dissemination, experiments, demonstrations, farm walks etc.. His key qualifications are organic arable cropping, system analysis, farm level sustainability assessment, life cycle assessment, agro-technology, resource assessment and optimization of especially energy and minerals (N). 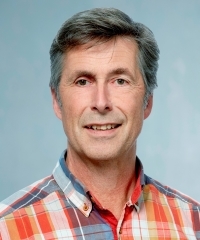 Frank Oudshoorn has worked 12 years as farm advisor, 5 years as research manager director of a research farm, and 10 years as assistant professor at Aarhus University. MSc. Arne Munk is dairy specialist. He works with development of procedures and tools for production management in dairy cattle herds. 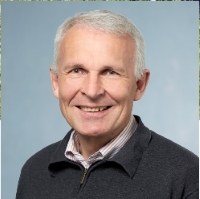 He has experience with developing and testing a concept for high-quality beef that is fully traceable from producer to consumer and developing an indicator-based sustainability index for the assessment of beef production in Denmark and Sweden. In addition, he worked with animal health, feeding additives, and feeding issues. Arne Munk has worked as advisor 10 years, here as dairy department manager at the advisory service for 5 years. He also worked at the agricultural service institute “Agrotech” for 2 years, and now at the knowledge center SEGES for 10 years.